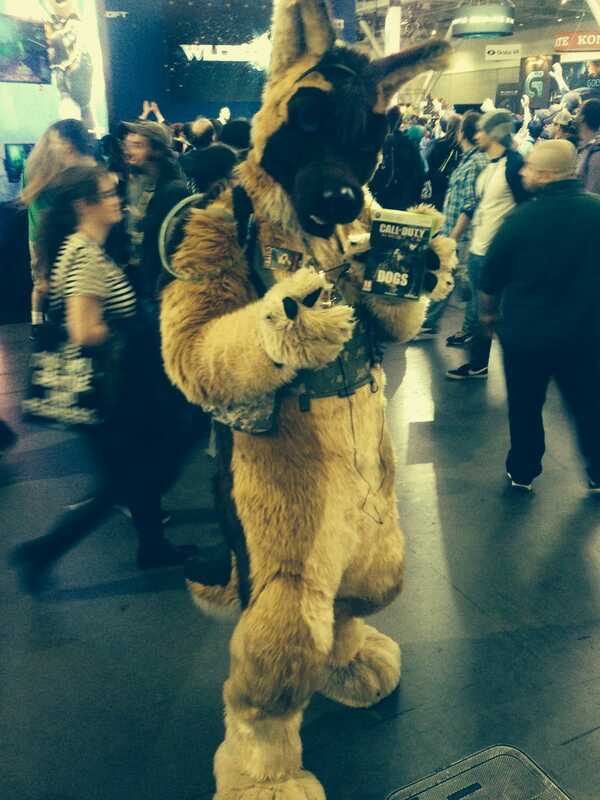 Thank you, unknown cosplayer, for your furry tribute to the best thing about Call of Duty: Ghosts. This Riley get-up up top isn't the fanciest outfit in the world but it still got a lot of laughs and recognition as passersby gawked at Ghosts' canine hero. Just goes to show that you don't need to be an expert with a sewing machine to entertain your fellow fans. But, intricately made costumes remain a wonder unto themselves and you'll see a few of those as you scroll down through the pics below. If you're at PAX East on Sunday and take some shots of really entertaining cosplay, feel free to share them in the comments below.